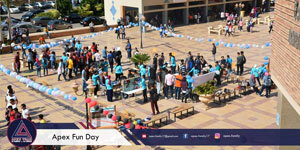 During the day, the new students were introduced to the different activities held by each student club during the academic year. The orientation day also involved a considerable number of competitions that were organized by the participating student clubs. The new students were also encouraged to join those clubs and took part in their activities. Presents were given to students at the end of the orientation day.